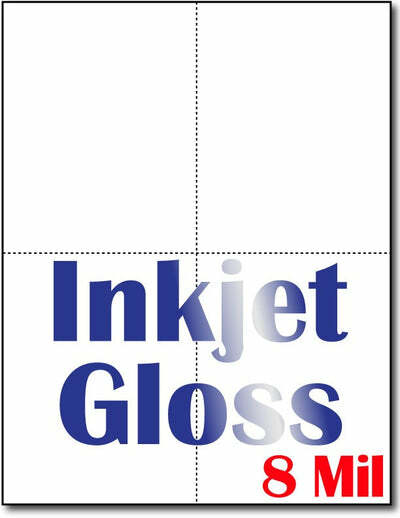 These postcards are designed specifically for HP inkjet printers, but work great on almost any brand of Inkjet Printer. You get 4 cards on a 8 1/2 x 11" glossy card stock. Made from 8 Mil (195 gsm) Photo Glossy. One side is glossy the other side is plain but printable. Each card measures 4 1/4 x 5 1/2 and meets all postal requirements for post cards. Cards are perforated for easy breaking.Please note: Our Inkjet Paper is not compatible with Kodak Photo Printers.